Leftovers4Dinner: Happy Birthday Munzee, and thanks for the Social! That's right, July 1st, 2011 Munzee started off a small little QR Code Scavenger hunt, and it's exploded since then! Munzee is a really cool worldwide scavenger hunt game. "Utilizing the power of your smartphone, Munzee™ lets players hunt, hide and capture items that are hidden in the real-world, online, with local businesses, and in other hidden surprises." You never know, you may have already seen a Munzee out there! I found my first Munzee late last December (but the phone I had at the time didn't scan it correctly). When I got home, I "googled" Munzee, read all about it, and was instantly hooked. A few weeks later, I ventured out with a new phone, and started my long and adventurous Munzee journey. It's still a growing hobby, and I'm happy that my Munzees are out there helping people discover this cool new hobby. I'm so happy to celebrate with Munzee on their 3rd birthday. They're celebrating this entire week with point bonuses, prizes, and gifts to their players! Check out the news HERE on Munzee's new blog! What's amazing is that they gave ME a gift this weekend! I'm so touched I could almost cry, but luckily Pepper danced around all crazy Chihuahua excited and got me back on track to blog about the great news. Ya'll know the CheapGeek1 and I love Youtube, and thanks to an awesome Munzee JOK and some dude name Rob, I now have a Youtube Social Munzee! 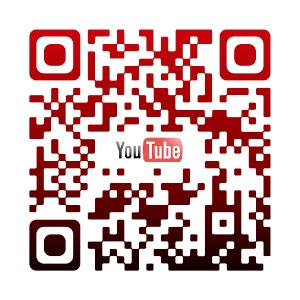 This awesomely designed QR code can be scanned with your smartphone with a regular QR Reader app and it takes you directly to my Youtube Channel, or if scanned through the Munzee app, takes you to my Social page!!!! How cool is that? So, help me celebrate the hobby I love so much and visit Munzee to get started in this awesome new outdoor hobby. Or better yet, go find one of my QR codes and scan it!